The summer of sport continues on 2nd July as the oldest and most prestigious tennis tournament, Wimbledon returns. The 2 week tennis extravaganza makes up a quarter of grand slam events, and remains the only event to be still played on grass. This article gives you an insight into the history of Wimbledon, the site, the order of play and our British hopefuls. The inaugural Wimbledon tennis tournament started on 9th July 1877, a short while after the game of lawn tennis was devised by Major Walter Clopton Wingfield. He had taken the idea from court tennis, essentially creating an outdoor version of the sport. The first event featured only the Gentlemen’s Singles and was won by Spencer Gore from a field of 22 participants. Ladies’ Singles and Gentlemen’s Doubles competitions were added to the tournament in 1884, with Ladies’ Doubles and Mixed Doubles following 29 years later, in 1913. All entrants were top ranked amateurs, and it wasn’t until 1922 that professionals were allowed to enter. In 2005, wheelchair tennis joined the order of play at SW19. They started with a doubles competition but have now expanded to Gentlemen’s and ladies’ singles. Originally, the tournament was played at The All England Lawn Tennis and Croquet Club on Nursery Road, but moved to its current site on Church Road in 1922. The courts at the new home were arranged to circle a main court, giving it the name Centre Court. Overall, there are 18 championship grass courts at Wimbledon, the biggest being Centre Court and Court No.1 which have capacities of 15,000 and 11,500 respectively. A retractable roof was constructed in 2009 on Centre Court to allow play to continue through the rain. Court No.1 is currently going through a renovation, with seating for an extra 900 and a retractable roof set to be installed in time for the 2019 championships. *The Quad Wheelchair Doubles Event is new for 2018. It is open for competitors with both upper and lower limb impairments. As always, eyes will be on the British involvement at Wimbledon. We have an anxious wait to see if double winner and former world number 1 Andy Murray competes at SW19 having missed a year through injury. Kyle Edmund will go into the tournament as the current highest placed Brit. Cameron Norrie, Liam Broady and Jay Clarke will be joining the British contingent. There are a total of 9 British players in the ladies’ entry list. They include Johanna Konta, Heather Watson, Naomi Broady, Katie Boulter, Gabriella Taylor, Harriet Dart, Katy Dunne, Katie Swan and Laura Robson. Alfie Hewitt, Gordon Reid and Lucy Shuker will fly the Union Flag in the wheelchair events. Aidan McHugh, Jack Draper, George Loffhagen, Anton Matusevich and Jacob Fearnley will compete in the Boy’s Singles and Emma Raducanu in the Girls’ Singles. Tennis fans from all over the world will flock on South West London ready for play to commence on 2nd July. 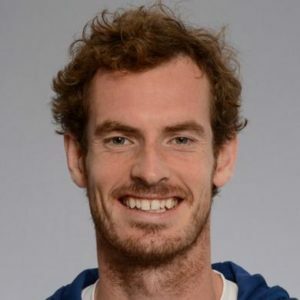 Will Andy Murray be fit to play? Will Roger Federer claim a 9th title? Is Serena Williams back to her unbeatable best form? Wimbledon remains impossible to predict, but we do that we have a fantastic fortnight of tennis ahead.